6.18 –> 10 pm: The Thing + Plinc! Plonc! Feb. 13/2018 –> Atomic at Pearl Co.
Zula Music & Arts Collective Hamilton presents, as part of its Something Else! Creative Music Series Fall Calendar, versatile Chicago free-jazz drummer, percussionist, electronicist Frank Rosaly, who plays solo, then joins inspired Hamiltonians, bassist David Lee, guitarist Chris Palmer and multi-saxophonist Connor Bennett for a night of original, improvised music. Chicago-based drummer Frank Rosaly’s solo effort MALO explores the process of free-improvisation with both acoustic and electronically manipulated percussion. Frank has developed a personal and often visceral approach to drumming, whereby gesture is a primary element to the creation of sound. Deliberate motion that may or may not produce sounds often leads to surprising, exiting and raw discoveries, both for the listener and for the performer. Though a large component of the music is created through improvisation, the music is constructed using many compositional concepts such as the Song Form, Minimalist techniques (ala La Monte Young, Steve Reich, Terry Riley), and ‘additive’ or layering process often heard in modern electronic music. Rosaly also draws inspiration from the likes of percussionists Milford Graves, Paul Lovens and Billy Higgins. Using contact microphones, oscillators, effects pedals and analog synthesizers along side an acoustic drum set up, Rosaly navigates a wide sonic palette: Afro-Cuban, Jazz and non-idiomatic grooves using unconventional techniques, dense Free-Jazz vocabulary, heavy drones and feedback, as well as soft, subtle percussive language that evokes a varied and large range of color. Phoenix, Arizona born, Chicago-based jazz drummer, composer Francisco Javier Rosaly Amoros Rosello, aka Frank Rosaly, plays in dozens of different music ensembles. He has been involved in the improvised and experimental music community since 2001 where he has become an integral part of Chicago’s musical fabric, navigating a fine line between the vibrant improvised music, experimental, rock and jazz communities. He contributes much of his time to performing, composing, teaching, as well as organizing musical events, while also touring regularly domestically and internationally. Frank is currently active in many projects throughout Chicago as well as New York and in Europe, including Bobby Bradford/Frode Gjerstad Quartet, Matana Robert’s Chicago Project, Rob Mazurek’s Mandarin Movie, The Rempis Percussion Quartet, Ingebrigt Haker-Flaten Quintet, Scorch Trio, Nicole Mitchell Ice Crystal Quartet, Jason Stein Quartet, Jeff Parker/Nels Cline Quartet, Josh Abrams’ Natural Information Society, Fred Lonberg-Holm’s Valentine Trio, Keefe Jackson’s Project Project, The Fast Citizens, The Jeb Bishop Trio, Jason Adasiewicz’s Rolldown, Jorrit Dijkstra’s Flatlands Collective, Chicago Lucern Exchange, Hearts and Minds, Slow Cycle, Outskirts, Darren Johnston’s Chicago Quintet, Anchor and others. Some performances in recent past include collaborations with Bobby Bradford, Frode Gjerstad, Jeff Parker, Thurston Moore, Peter Brotzmann, Tony Malaby, Roscoe Mitchell, Anthony Coleman, Paul Flaherty, Marshall Allen, Louis Moholo, Nels Cline, Eric Boeren, Ken Vandermark, Michael Zerang, Walter Weirbos, Joan of Arc, White/Light, Fennesz, David Daniell, Rhys Chatham, Doug McCombs, Michael Attias, Michael Moore, Jaap Blonk and Colin Stetson, among many others. Rosaly’s sextet, Cicada Music features James Falzone (cl), Jason Stein (bcl) and Keefe Jackson (cbcl), Jason Asasiewicz (vb), and Jason Roebke (b) performing music inspired by the cinematic experience. Frank also leads Green and Gold, a quintet featuring Cameron Pfiffner (reeds), Nick Mazzarella (alto), Tomeka Reid (cello) and Anton Hatwich (bass) exploring the music collaborations of Prince Lasha and Sonny Simmons. He is also involved in a solo project called Milkwork: a study in integration of electronically manipulated percussion instruments, improvising dense sound walls with controlled feedback, overdriven amplified drums. Frank blends sound scapes designed through analog electronic synthesis with extended techniques on unamplified drum set. Frank also studies cymbal hammering, and utilizes his hammering experiments with this project. Frank organizes and coordinates the Ratchet Series, along with Nick Mazzarella, Anton Hatwich and Kate Dumbleton to showcase creative music in an intimate house concert setting in Chicago. Frank is also faculty at the Old Town School of Folk Music. Frank earned a performance degree from Northern Arizona University. He has studied with Billy Higgins, Peter Donald, Bob Moses, Joel DiBartolo, Dom Moio, Steve Hemphill, Robert Schulz, Michael Vatcher and with the staff at the Jazz Record Mart. 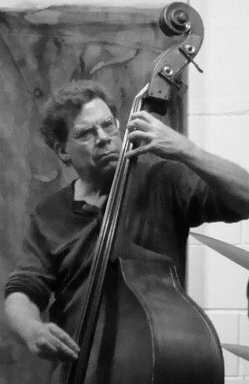 David Lee is a writer and double bassist. Originally from BC, he spent years in the Toronto music and art scene, playing bass and cello in a variety of settings, then moving to BC’s Sunshine Coast in the 1980s, and currently lives in Hamilton, Ontario. The author of books on jazz and other subjects (winner of the 2007 Hamilton Literary Award for non-fiction for Chainsaws: A History), currently a PhD candidate in English at the University of Guelph, David sits on the curriculum committee of Guelph’s International Institute for Critical Studies in Improvisation. In 1996, while living in Pender Harbour, BC, he was part of the founding committee that launched the successful Pender Harbour Jazz Festival. Wolsak & Wynn recently published a newly revised edition of David’s critically-acclaimed jazz book The Battle of the Five Spot: Ornette Coleman and the New York Jazz Field, and soon, they will bring the Cthulhu mythos to the mean streets of modern-day Hamilton with his young adult novel The Midnight Games. In 2012 Tightrope Books of Toronto published David’s first novel, Commander Zero. A truly original improvising guitarist with a keen sense of adventure, humour, fire, curiosity and mischief, New Zealander / Hamiltonian Chris Palmer can easily rock a house party or stun a literary audience, hypnotizing them with his charm and chops. 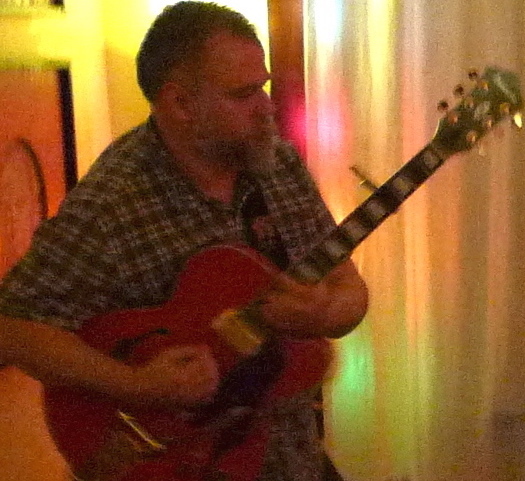 Palmer has been playing guitar for over thirty years in a variety of contexts. For over a decade before moving to Canada from New Zealand, he was actively involved in the Wellington improvised and avant-rock music scene. He has appeared on a number of albums including Leila Adu’s debut album ‘Dig a Hole’ and was largely to blame for the Elephant Men release, ‘Let You Entertain Me’. He also featured in a, let’s say, ‘cult’ film by Young Guns II director Geoff Murphy… which he doesn’t want to talk about. Hamilton multi-saxophonist, Connor Bennett is perhaps best known for his part in Eschaton, an avant-thriller of a sound exploration duo (with Aaron Hutchinson), that leaves Hammer City folk baffled, overjoyed and awed on a regular basis. 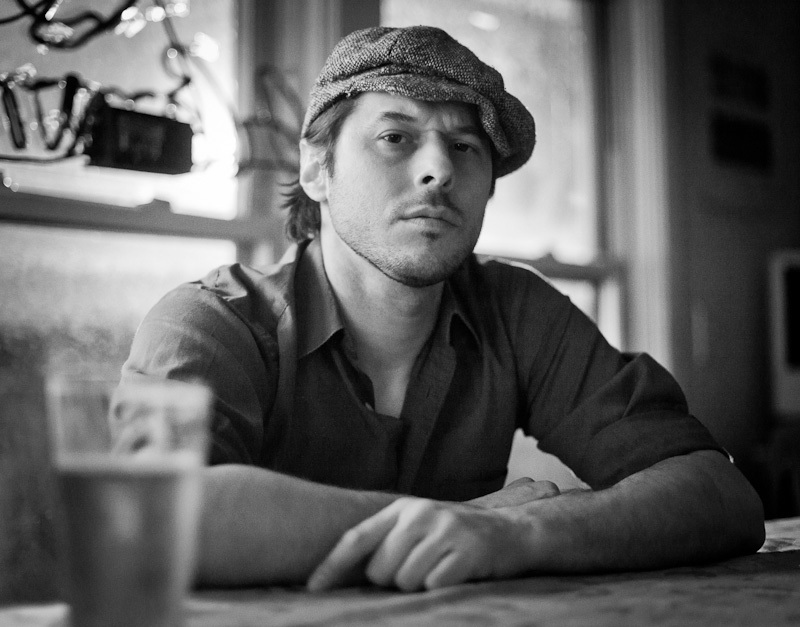 Bennett has deep roots and ties in the city’s creative/experimental music scene, both as a performer in various units including the eclectic Haolin Munk and various improvising outfits, as well as being involved in Hamilton Audio/Visual Node. His on-going duo project with David Lee led to this evening’s premiere performance with Chris Palmer, testing the waters of a trio ship… followed by a large tug by Frank Rosaly!